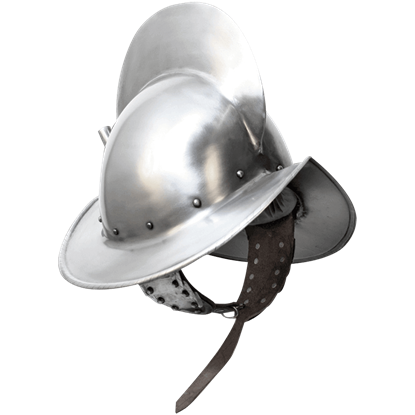 A sallet is often regarded as the forerunner of the modern-day combat helmet, and when you are looking at this 15th Century Sallet, it is not hard to see why, as this helmet possesses a shape that provides good coverage and protection. When wearing a helmet, protection is good, but comfort must also be a consideration. After all, a protective helm that is impossible to wear, is not worth much. 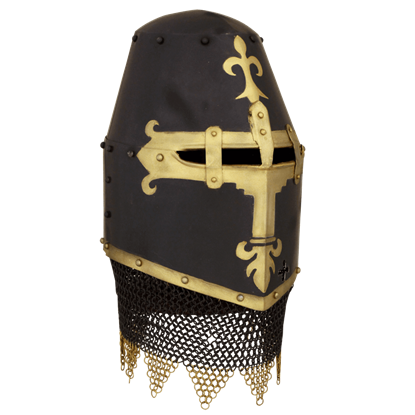 This 17th Century Closed Burgonet blends protection and comfort perfectly. 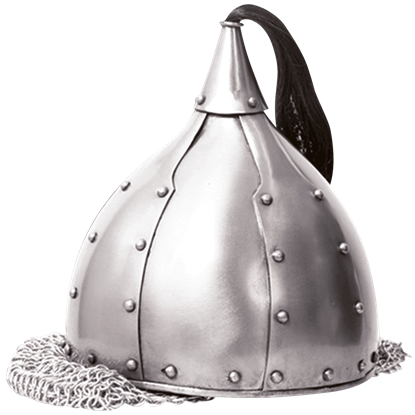 First produced in England around 1011, the kettle hat was the helm of choice of many foot soldiers and men-at-arms. 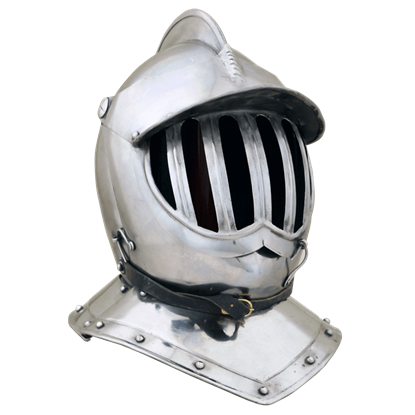 As its name implies, this Archers Banded Kettle Helm would have been a good helm for archers, thanks to its open design. 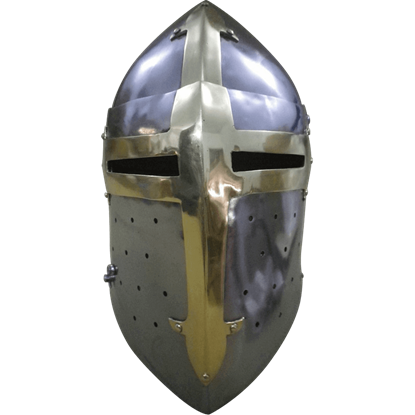 This Spangenhelm style was made specifically for archers, the nasal being omitted to provide greater visibility. 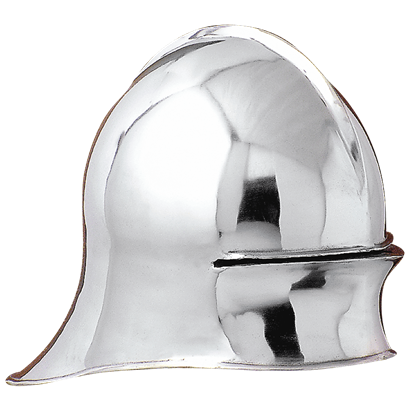 Our Spangenhelm is crafted in 14 gauge steel. The helm has an adjustable (spider style) leather liner and chinstrap. 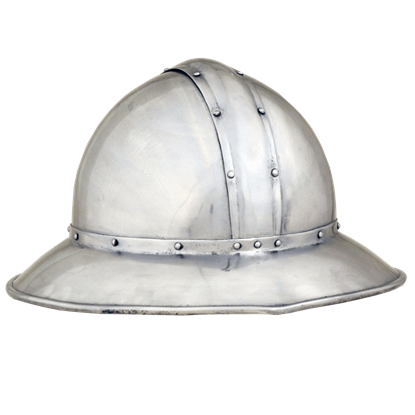 Based on the Kegelhelm of medieval Asia and Europe, the Arlan Steel Helmet features a rounded dome shape that comes to a central point and ends in a horse hair crest. An attached aventail adds further coverage to the historic design. Arthurian myth and legend has inspired mystical weapons and fantastic creatures, and now, it is inspired stunning armor as well! 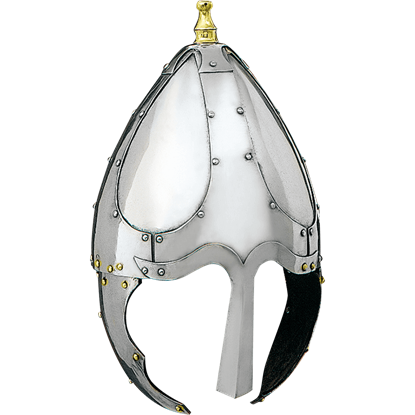 It is not hard to picture the Knights of the Round Table wearing this Arthurian Ages Deluxe Helmet. 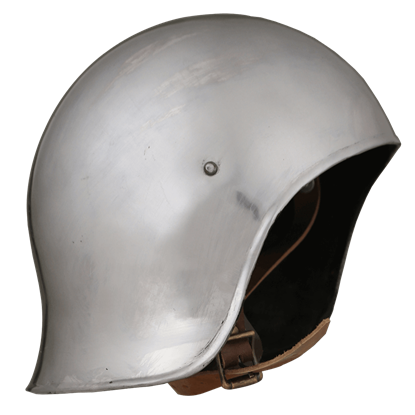 The Barbuta Helmet, also known as the barbute, was a visorless helmet of Italian design. 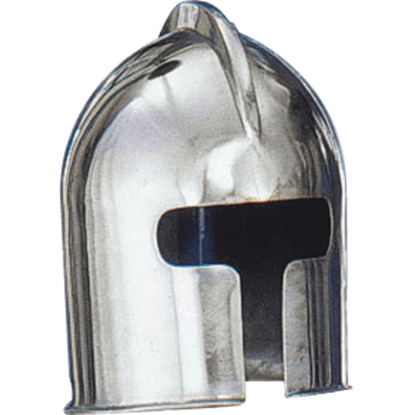 This helmet is straight-forward, possessing a design similar to the classic Greek helmets of old, while providing just as much protection. 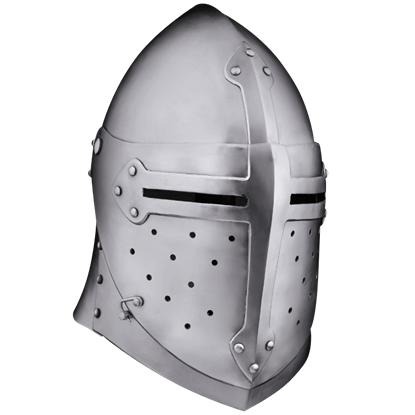 The sallet was a common helmet after their rise during the middle of the 15th century, and for good reason. 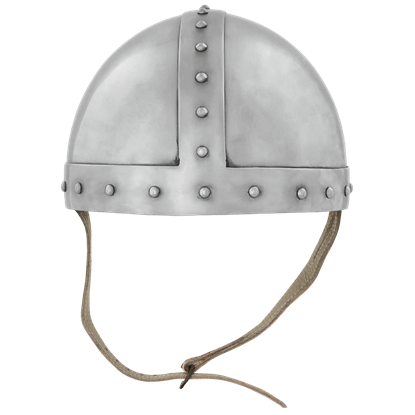 Helms like this Basic Sallet Helmet were rather protective, while also lacking the drawbacks of many earlier great helmets.